Wow, what an emotional commission. I was tasked with photographing and interviewing people affected by various forms of leukaemia as well as staff working on the haematology ward at The Royal Devon and Exeter Hospital for the Exeter Leukaemia Fund’s new fundraising campaign launch. Despite incredible challenges everyone I worked with on this assignment was an absolute inspiration and I moved from tears to laughter and back again throughout the day. 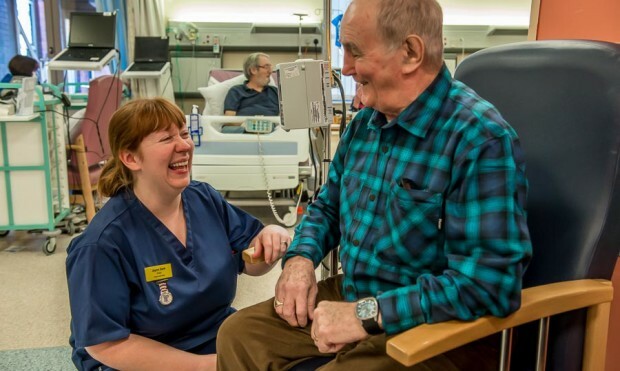 The work that Exeter Leukaemia Fund (ELF) do is held in such high regard by the people who come into contact with them and the family atmosphere on the ward was an honour to be a part of for a short time.